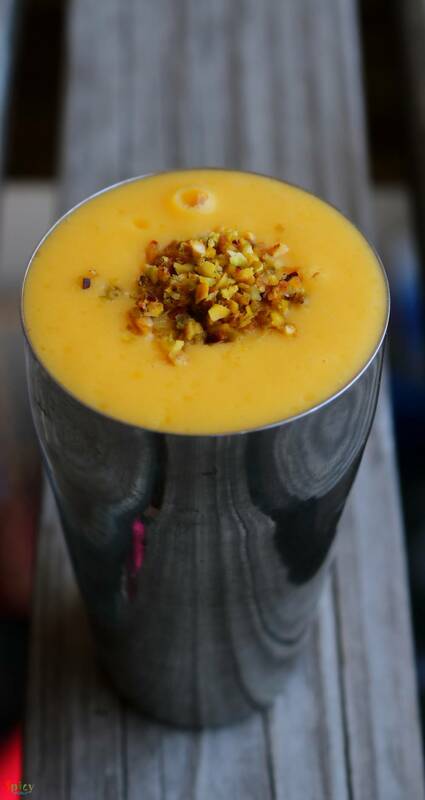 During summer Mango Lassi is the best thing you can have. Lassi will soothen your body and tummy. Its kind of a smoothie but yogurt based drink. Sometimes after having a big glass of this you won't even need your lunch ... yes this drink is heavy, creamy and what not ! 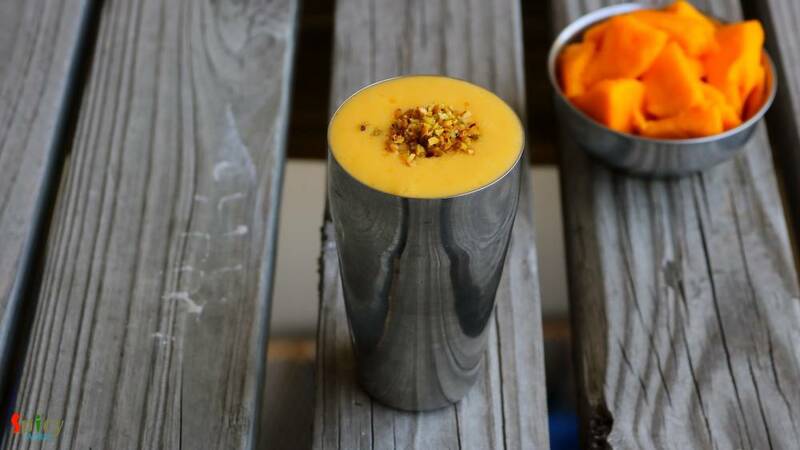 Try this in your kitchen and let me know how it turns out for you. Half cup of chilled yogurt. 1/4th cup of cold milk / water. Sugar as per your taste. Put all the ingredients (except last one) in a blender and blend on high speed for 40 seconds to a minute. Then pour it in a glass and garnish it with pistachios. 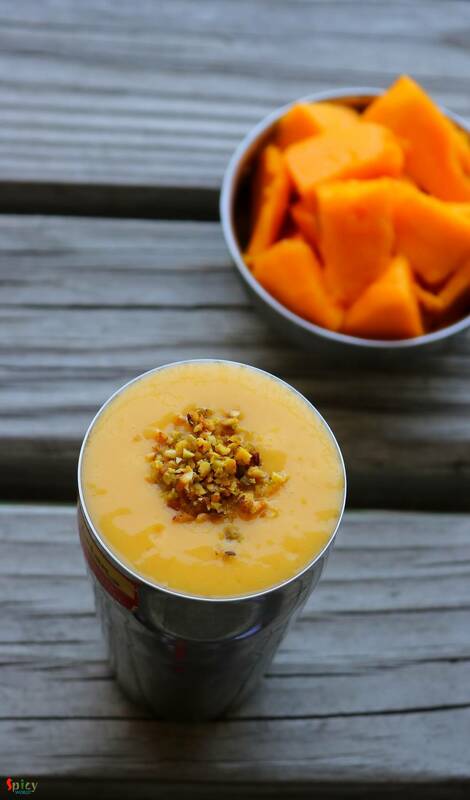 Your Mango Lassi is ready to serve.